With its smart contemporary touches and comic book source material, Wing Walker Orchestra's nifty debut album, Hazel, likely won't draw comparisons to The Far East Suite. But it's no stretch to say that writer-arranger Drew Williams' spirited East Coast ensemble owes more than a little to the Duke Ellington masterpiece. Williams, a native of Kansas City, was early into his studies as a classical saxophone major at Missouri's Truman State University when one of his professors kept after him to join the jazz improvisers on campus. When the professor, well-regarded saxophonist Tim AuBuchon, succeeded in getting his promising student to participate, the results weren't pretty. "I was terrible," Williams said. "I had never even used a jazz mouthpiece. I couldn't play in tune." But he kept at it, schooling himself on albums by contemporary players his instructor told him to listen to. With its unforgettable tones and melodies, The Far East Suite opened Williams up not only to the glowing possibilities of playing as well as composing jazz music. Now here is Williams at 30, leading an innovative 11-person ensemble featuring some of the best young players in the country. Playing bass clarinet exclusively on Hazel, he fulfills a dream in combining his love of film music and his love of graphic novels by adapting Saga, the popular Star Wars-inspired space opera of which he is enamored, as a seven-part suite. The album, produced by Alan Ferber and released on the ears&eyes label, also boasts intoxicating versions of Tune-Yards' "Look Around" (from the album Nikki Nack) and as a bonus track, Michael Attias' "Marina," one in a series of lo-fi electronic pieces by that first-rate saxophonist. "When I cover stuff, I'd rather blow it up and try it from a different angle," said Williams. "On 'Look Around' the melodies are so incredible and difficult to notate, they're hard to mimic, but we locked into the groove and kept the groove dirty and loose. It builds to a kind of Mingus free for all." "Marina," regarded by its composer as too difficult to play, did indeed prove to be a challenge for Williams and company. But after playing it live over the course of two years, the orchestra adopted it as one of their favorites. Williams, who is picky about saxophonists, drafted a pair of terrific ones to animate the music and attain the right harmonic warmth: altoist (and clarinetist) Brad Mulholland and tenorist Eric Trudel. The band also features trumpeters John Blevins and Danny Gouker, trombonists Karl Lyden and Nick Grinder, guitarist Jeff McLaughlin, bassist Adam Hopkins and drummer Nathan Ellman-Bell. Everyone leaves their mark. Williams was born on June 29, 1988 in Lee's Summit, Missouri. At 15, he knew he wanted to pursue music as a career. Albums including Ben Allison's Little Things Run the World, featuring tenor saxophonist Michael Blake, helped win him over to jazz. "It sounded more like the rock music I was playing in high school than jazz," he said. The deeper Williams got into playing jazz, and the more he was exposed to other rock-influenced jazz composers including Guillermo Klein, the more he became interested in writing it. Here, too, he struggled in the early going. "Nothing was happening with my early pieces," he said. "Some of what I wrote kinda worked, then it didn't, then it did, then one day I wrote two chords and said, can we play this? Baby steps." 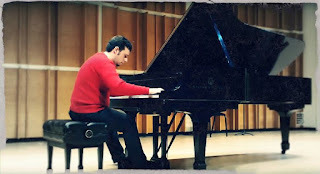 He experienced a breakthrough with a set of music he wrote for a college recital. He used those pieces when he auditioned, successfully, for New York University's Master's program in jazz composition. During his time there, he had the great good fortune of studying with faculty heavies Ralph Alessi, Alan Ferber and Rich Perry. Wing Walker Orchestra, drawn partly from his NYU confreres, came together gradually. The first song Williams composed for the band, the edgy, ethereal "Forest Boats," was inspired by the films of Michel Gondry (Eternal Sunshine of the Spotless Mind). "I wanted to capture the melancholy, folksy and quirky feeling of the music in these films, for which Jon Brion did most of the scoring," he said. With its recurring characters, layered themes and interlaced motifs, "Forest Boats" pointed the way to Hazel. Among the distinctive touches on the "Hazel Suite" are drum overdubs and hand claps that boost the energy and intensity of the music. The orchestra has provided a platform and arrangements for the compositions of such formidable guest players as Michael Attias, Shane Endsley, Jonathan Finlayson and Jason Palmer. The ensemble also has collaborated with the Festival of New Trumpet Music to present two nights of expansive sounds. And Williams has promoted Wind Walker Orchestra and the scene it is part of (he also plays with and composes for Mister Mozart, Bolo and Matterhorn) by hosting a podcast and compiling ear-opening mixtapes. "I'd like to think that my music reflects all the musical experiences I've had in my life," he said. "I played rock music in high school, got an undergraduate degree in classical music and acquired a Master's in jazz composition. I'm creating music that fits between the lines." Forward-thinking UK trio Vula Viel release their sophomore album, ‘Do Not Be Afraid’ on 25th January 2019, continuing their unique musical journey centred around the Gyil (Ghanaian xylophone). Vula Viel was formed in 2013 by Bex Burch. After studying at Guildhall and training as a classical percussionist, she embarked on a life-changing three-year period living, farming and studying with xylophone master Thomas Sekgura in Upper West Ghana; the band’s name means ‘Good is Good’ in the Dagaare language. After being mentored in the deep traditions around the Gyil, a large African xylophone made of sacred lliga wood, Burch began the journey to bring the instrument into her own music. The acclaimed debut Vula Viel album in 2015, ‘Good is Good’, was the first realisation of her vision and ‘Do Not Be Afraid’ is the first set of Burch originals,written on traditional Dagaare forms. 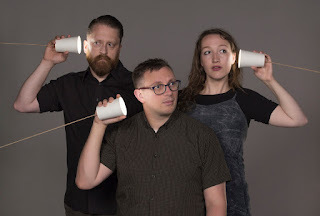 Award winning Tyneside trio Archipelago fuse genre blending post-jazz dreamscapes with alt-rock and improvisation to name a few, taking inspiration from musicians as diverse as Don Cherry, Morphine and Joni Mitchell. 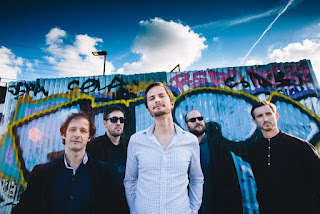 Since releasing their debut LP ‘Weightless’ in 2017, Archipelago have received national airplay (Late Junction, Jazz on 3), been selected as ambassador artists for the Jazz North ‘Northern Line’ touring scheme, and received a prestigious 'Peter Whittingham Development Award’ from Help Musicians UK. With the support of Help Musicians UK and Cobalt Studios in Newcastle upon Tyne, they began running ‘BETWEEN WAVES’, a collaborative residency-gig series for female-identifying artists to make new music with Archipelago. Highlighting the multifaceted power of improvisation and jazz to cross genres and open up connections with artists in different modes, BETWEEN WAVES also celebrates the ever growing northern creative scenes. After receiving a huge number of applications, Archipelago invited Rosie Frater-Taylor, a multi-instrumentalist/songwriter, Faith Brackenbury, an improvisor/violinist/vocalist, Lisette Auton, a disabled writer/spoken word artist and Fran Bundey, a sound artist/vocal looping musician for their first edition of BETWEEN WAVES. I’m chasing the lofty goal of being able to play everything,” says the pianist, composer and educator Dave Meder, discussing the panoramic, genre-bending approach that has earned him slots in the Thelonious Monk International Jazz Piano Competition and the American Pianists Awards. At only 28, Meder has already found a uniquely versatile artistic voice, evident in his debut album, Passage (Outside In Music), a dynamically interactive piano-trio outing with appearances by generation-defining saxophonists Chris Potter and Miguel Zenón. Traversing an affecting gospel standard, a bold deconstruction of Monk, a title track inspired by minimalists Philip Glass and John Adams, and pieces featuring the most progressive ideas in jazz harmony, rhythm and improvisation, Passage is the work of a young artist whose defining aesthetic is his remarkable sense of stylistic adventure. Indeed, his most appropriate touchstones are historically resourceful postmodernists like Jaki Byard—a hero to whom Meder paid tribute at Jazz at Lincoln Center—and two of Byard’s proteges, Jason Moran and Fred Hersch. On top of the album’s next-level playing, Passage is an ideal showcase for Meder’s cultivated gifts as a composer-arranger, talents that earlier earned him an ASCAP Young Jazz Composer Award, the FirstMusic Commission of the New York Youth Symphony and a slot in the BMI Jazz Composers Workshop. In the way of live performance, his abilities have been no less lauded. Meder has performed in some of New York’s most hallowed jazz rooms, with dates at Smalls Jazz Club, a multi-night solo-piano engagement at Jazz at Kitano and several headlining stands at Dizzy’s Club Coca-Cola. His international bookings have included a Tokyo Jazz Festival appearance with a big band led by Makoto Ozone, as well as a guest appearance with the Tom Jobim Youth Orchestra at São Paulo’s iconic Ibirapuera Auditorium. In 2013 he won the esteemed Jacksonville Jazz Piano Competition, formerly the Great American Piano Competition. 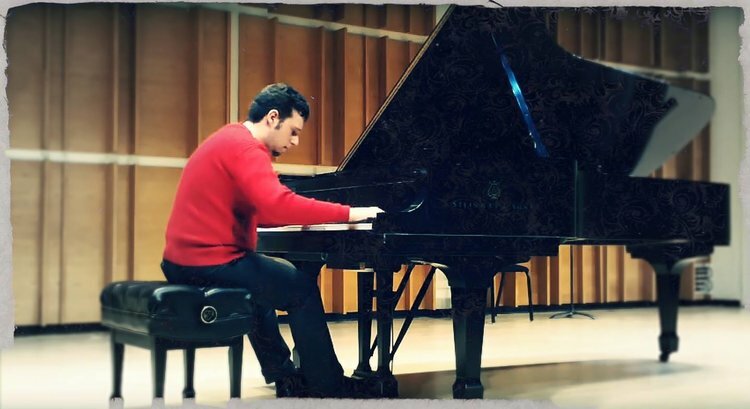 Meder has also been named a finalist for the 2019 American Pianists Association Cole Porter Fellowship—like the Monk competition, among the most prestigious contests in jazz. 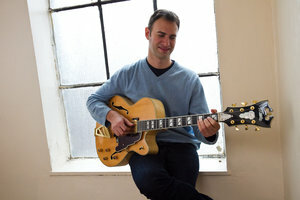 Described as “An innovator" and “A gamechanger" by The Guardian, British guitarist Ant lives in London and leads his quintet, dubbed “An exciting band to hear live" by John Fordham. Their debut 'Entanglement' was released in 2013 to great acclaim, followed by 'Zero Sum World' in 2015. They have toured extensively and their third album 'Life I Know' for Edition Records was released on the 9th of November 2018. The release was very warmly received by the press. It received 5 star reviews, made numerous “best of 2018" lists, received airplay in the UK, Europe, Australia, and hundreds of thousands of plays (and counting) on Spotify. It is being described as “career-defining". Ant has played in Tim Garland's band with Jason Rebello & Asaf Sirkis, featuring on 'Songs To The North Sky', 'Return To The Fire' and 'ONE' which was shortlisted for a Grammy and won the Jazzwise Best Album award. He is a member of Trio HLK who record/tour with Dame Evelyn Glennie. He has also worked with Cory Henry, Thomas Gould and is frequently featured in “Total Guitar" and “Guitar Techniques" magazines, in which he was recently listed as an “Astounding Virtuoso". Ant has an interest in Physics, which he read as a scholar at Edinburgh University. 2016 saw the emergence of the Art Of Rhythm Trio featuring Matt Ridley (bass) and Asaf Sirkis (drums and konnakol). In April/May they played a 20-date tour all over the UK, supported by the Arts Council. They had played together in a different ensembles but the tour allowed them to consolidate their musical relationships and develop the trio dynamic. Most notable perhaps is the inclusion of Indian classical elements (check out the youtube videos) such as konnakol, the South-Indian spoken percussion, amidst all the jazz. This group is touring on an ongoing basis and they hope to see you at a gig soon! Ant was born in Jeddah, Saudi Arabia, where he lived until the age of 16. From a young age he was exposed to early blues and rock 'n' roll, as well as Arabic music. He began playing piano and guitar around the age of 8. Throughout his teens he gravitated towards the guitar. A history teacher gave him a video of Stevie Ray Vaughan playing live at the El Mocambo, which was a huge influence, along with videos of Guns 'n' Roses, Queen, and later on Joe Satriani and Steve Vai. Other than the classical piano training, Law's only formal schooling in music was one semester on scholarship at Berklee College Of Music, Boston. This he says was crucial because he heard gospel music and gospel drummers for the first time, and lots of Latin American music. The semester was completed in the middle of a Physics degree he was reading at Edinburgh University, also as a scholar. It was whilst studying the degree that he became obsessed with jazz and played his first jazz gigs. By this point he had discovered and started to use Perfect 4ths tuning for the guitar. In a case of convergent evolution however, other players (like Stanley Jordan and Tom Quayle) had also discovered and were using this same tuning. Allan Holdsworth has said that if he could start again, he would tune this way. Ant wrote a book introducing the tuning entitled “3rd Millenium Guitar" which is published by Mel Bay. After completing the degree he concentrated on make a living playing guitar, eventually moving to London and immersing himself in the scene there. He also lived in NYC for a season to study with his heroes Ari Hoenig, Ben Monder, Adam Rogers, Lage Lund, Gilad Hekselman, Johannes Weidenmueller, Tim Miller and others. Each step that guitarist and composer David Ullmann has taken along his musical path has been an unpredictable one. Reinvention has been the key to each new release; his music thrives on surprising combinations of electric and acoustic sounds as well as left-field additions like tabla and sitar. On his 2005 debut, Hidden, the New York City native kept listeners off balance with an eclectic mix of influences from modern jazz and jam band rock to funk, soul and country balladry. His follow-up, Falling (2011), further pulled the rug out with a guitar/vibes/sax frontline that aimed for a free-fall feeling with dreamy atmospherics and gentle but off-kilter angularity. Ullmann’s latest release, Corduroy (2014), expanded the band to an octet and drew inspiration from a wholly unexpected source: the brassy, memorable theme songs from Ullmann’s ‘70s childhood. The result was simultaneously fresh and nostalgic, with exhilarating playing as the ensemble navigated the music’s narrative twists and turns. On his forthcoming album Sometime, Ullmann takes the concept of reinvention and applies it to his own catalogue. Using an unreleased organ trio date as a leaping-off point, Ullmann fleshed out the music with a larger ensemble of collaborators, taking what was a lively soul-jazz outing into strange and exciting new territory with the addition of synths, sitar, mandolin, vibes, horns and percussion. Unlike many of his peers on the jazz scene, Ullmann didn’t undertake an odyssey to reach the jazz mecca of New York City. He was born and raised in the metropolis, and its diverse soundscape has certainly influenced his wide-spectrum music. He discovered the guitar through legendary classic rock bands like The Beatles and Led Zeppelin, and absorbed those artists’ open-eared approach. The improvisational nature of jazz drew Ullmann out of the rock world, as did the profound experience of taking lessons at the Philadelphia home of legendary guitarist Pat Martino. Ullmann studied more formally at the acclaimed jazz program at the New School, where his teachers included such six-string masters as Peter Bernstein, Gene Bertoncini and Vic Juris and pianist Garry Dial. The Indian music influences that continue to permeate his music were sparked by studies of the tabla with Misha Massud and the sitar with future Joe Zawinul guitarist Amit Chatterjee. He went on to earn his Master’s Degree at NYU, where he was able to take private lessons with such greats as guitarists Wayne Krantz, Brad Shepik and Adam Rogers, bassist Drew Gress and drummer Ari Hoenig. He also enjoyed the opportunity to work in the ensembles of jazz legends Joe Lovano and John Scofield, performing and recording with both. During this time Ullmann was a member of the winning group in the 2018 Costa Rica Promising Artist Series. Since graduating, Ullmann has passed those formative lessons on and has taught guitar and songwriting at John Jay College as well as guitar at NYU , while maintaining an active performing schedule that has taken him to such hallowed venues as CBGB, the Blue Note, Wetlands and the Knitting Factory as well as current hotspots like the 55 Bar and Barbès. Ullmann’s conceptual vision applies to his captivating playing as well as his compositions. DownBeat hailed his thoughtful work on Falling, saying “his restrained, tasteful solos display the narrative arc of a veteran storyteller.” He’s carried that cinematic sense onto the actual big screen as well, composing music for several feature films and documentaries. He’s formed an ongoing collaboration with filmmaker D.W. Young, scoring his narrative feature The Happy House and the documentary A Hole in the Fence. He will also compose the music for the forthcoming The Booksellers, a compelling peek into the world of New York’s rare book collectors. Mariel was born in 1988 in the California bay area, a humble home of musicians, artists, organic weed growers and LGBT rights activists. Some of Mariel's first memories were immersed in music. One 4th of July afternoon, the Austin family household was abuzz with party guests sipping beer as their children played in the back yard, The Cranberries playing on the stereo in the living room. On this afternoon, 3-year-old Mariel was in a daring mood and decided to steal a wooden spoon from the kitchen. She then ran into the living room and brandished the spoon as an electric guitar in front of a puzzled group of adults, her parents included. Once capturing her audience's attention she started striking her spoon like a brazen rock star and belted along to the chorus of "Zombie" by the Cranberries, coming from the living room stereo. Dad was quick on his feet and captured this spontaneous musical outburst on the family camcorder. The home movie is still floating around to this day. Fast-forward about four years later.....by age seven Mariel's parents recognized her thirst for music and had signed her up for voice lessons through the San Francisco Girls Chorus (SFGC), a program in which her older sisters were already enrolled. From Gregorian chants and Chinese poetry to Balkan folk songs and Broadway show tunes, she had begun to sow her soon-to-be diverse musical palette. At some point in her training she discovered she had absolute pitch (also known as perfect pitch) and was further encouraged by her family, friends and teachers to pursue music. So throughout the years of elementary school Mariel had taken up piano, flute, clarinet and alto sax, each with newfound ferocity. However, there was a slight blockade. Her interest—and ability—in said instruments were short-lived. Something about them didn't quite click with her. By ear she could easily pick up the songs her teachers taught, but once she got home and sat down with her written exercises and homework, she was once again marooned and sent back to square one. But...all that changed one evening when Mariel's parents took her to a concert by the Berkeley High School Jazz Ensemble when she was in the 6th grade. Not everyone knew this, but 12-year-old Mariel had made it a personal goal to get into the Berkeley High Jazz Ensemble once she reached high school, whatever it took. Little did she know that this particular concert would be a spring awakening. It was a Sunday in April when Mariel's parents took her to see the Berkeley High School Jazz Ensemble at the Berkeley Marina. About halfway through the concert the band played Charles Mingus' "Fables of Faubus." And along came the famous opening line, featuring the baritone sax and bass trombone—the latter being particularly overzealous of his part. Alerted and awoken by this brazen sound she had never heard before, Mariel jolted upright and realized she wanted to be a trombone player. 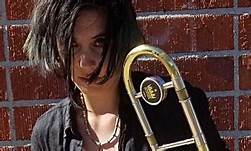 The following year when she turned 13, Mariel started trombone lessons. Even though she had braces at the time, she diligently practiced her exercises and never turned down a solo in middle school band. After the braces disappeared, she began to write pieces for her jazz combo at Berkeley High School, where she graduated from in 2007. Thereafter, she studied Jazz Performance at California State University, Northridge, where she composed for the school’s Jazz “A” Band and earned her Bachelor’s Degree in 2011. Shortly after graduating, Mariel started receiving offers to transcribe and arrange for various musical settings and genres. Eventually, contractors began asking her to play for television shows such as American Idol, The Voice, and NBC's Hollywood Game Night. During this time she realized she wanted to further her education and study jazz composition. So she began the grueling process of online grad school applications. Nasser's debut album, Restive Soul, features his quintet presenting "a collection of sophisticated and complex modern jazz originals" (Jazz Weekly). His music stands out for its seamless integration of classical forms and techniques with jazz language and phrasing. The album's songs weave together sonata forms, baroque to 20th century counterpoint, and modern rhythms with modern jazz vocabulary. "The saxophonist's debut is knotty with a contrapuntal weave of voices, bumpy mixed meters, and alternating rhythmic currents that nonetheless groove, sometime with a rocking edge" (Boston Globe). Saxophonist Trish Clowes has been described as âone of the most agile and original jugglers of improv and adventurous composition to have appeared in the UK in recent timesâ (John Fordham, the Guardian). A BASCA British Composer Award winner and former BBC Radio 3 New Generation Artist, Clowes has received critical acclaim for all four of her releases for Basho Records. Her My Iris quartet â with Chris Montague on guitar, Ross Stanley on piano and Hammond organ and James Maddren on drums â has been hailed as âthe jazz of the futureâ (Augsburger Allgemaine). The band have toured and performed in the UK, Ireland and Germany, including appearances at the Barbican (EFG London Jazz Festival), the National Opera House (Wexford), Gateshead International Jazz Festival, Turner Sims, Women in (e)motion Festival and the Stadthaus Ulm. They have also recorded broadcasts for BBC Radio 3 and Radio Bremen. Their 2017 album, also called âMy Irisâ, received plaudits and acclaim from jazz critics. Dave Gelly of The Observer wrote that âwith just four players, the variety of tone colour is remarkableâ and Cormac Larkin in The Irish Times suggested that â(My Iris) represents the front rank of the new generation of UK jazz.â My Iris will release a brand new album in May 2019. Born on May 11th 1984, Clowes was raised in Shrewsbury, Shropshire and moved to London in 2003 to study at the Royal Academy of Music, notably with saxophonist Iain Ballamy and composer Pete Churchill. Clowes was later honoured as an Associate of the Royal Academy of Music (2013). She formed her first group âTangentâ following a development award from the Musicians Benevolent Fund (now Help Musicians UK) in 2008. Clowesâ first album âTangentâ in 2010 featured this band, special guest pianist Gwilym Simcock and an orchestra conducted by Jules Buckley and was noted for its âpromise â and ambitious visionâ (Guardian). Her second album âand in the night-time she is thereâ (2012) featured an improvising string quartet led by Thomas Gould and Clowes recorded her âhighly individualâ (Schweiz am Sonntag) third album âPocket Compassâ (2014) while a BBC Radio 3 New Generation Artist, working with the BBC Concert Orchestra on three tracks. Clowes has been commissioned by BBC Radio 3 on two occasions to write for the BBC Concert Orchestra. The first commission, âThe Fox, the Parakeet and the Chestnutâ, was premiered at the Queen Elizabeth Hall in 2014, featuring a quintet with Gwilym Simcock, Mike Walker, Calum Gourlay and James Maddren. The piece went on to win Clowes a BASCA British Composer Award in 2015. Clowes premiered her most recent commission, entitled âLoujean and Lucyâ, at the Royal Festival Hall in November 2017 as part of the EFG London Jazz Festival â this time featuring just two soloists, Clowes and pianist Ross Stanley. The piece celebrates the story of two women brought together through the Homes for Syrians initiative. During the same concert Clowes and Stanley made use of the hallâs famous organ, performing a duo version of Clowesâ âA cat called Behemothâ (inspired by a character in Bulgakovâs The Master and Margarita). Alongside her work as a performer and composer Clowes has been curating her own new music project Emulsion since 2012, which she now organises with saxophonist Tom Harrison. 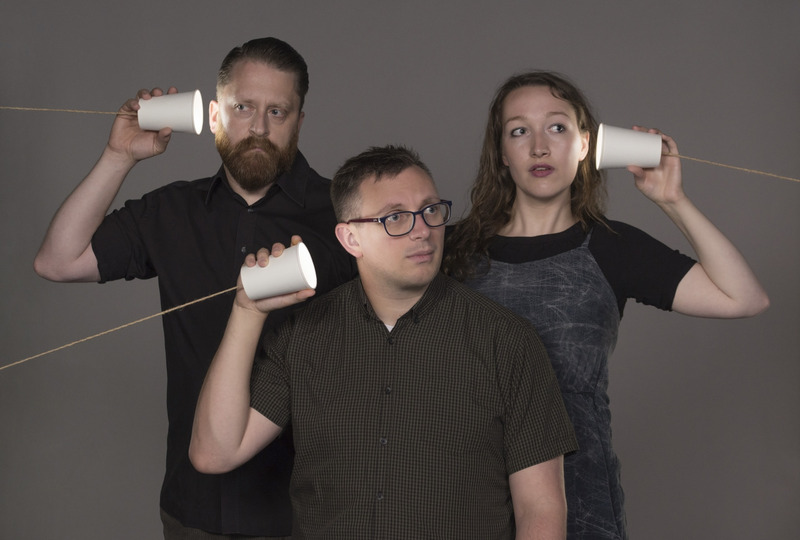 Emulsion has hosted various events and festivals in London, Birmingham, Shrewsbury and at Cheltenham Music Festival, receiving coverage on BBC Radio 3 along the way, and to date has commissioned seventeen new works. Featured collaborators include ECM artists Food (Iain Ballamy and Thomas StrÃ¸nen), pianist-composers Nikki Iles and Robert Mitchell and composers Joe Cutler and Cevanne Horrocks-Hopayian. Over the years the project has received funding from PRS for Music Foundation, Arts Council England, Musikfondene (Norway), Jerwood Charitable Foundation, Birmingham City University and its own Kickstarter backers. Other significant achievements include a television appearance as part of BBC Proms Extra, a songs project called Under Your Wing with vocalist Norma Winstone and guitarist Mike Walker (broadcast on BBC Radio 3, 2014), solo appearances with BBC Scottish Symphony Orchestra (Celtic Connections 2014) and Northern Sinfonia, a debut at Wigmore Hall (2015) with the Heath Quartet and Gwilym Simcock and commissions for Onyx Brass and London Sinfonietta. 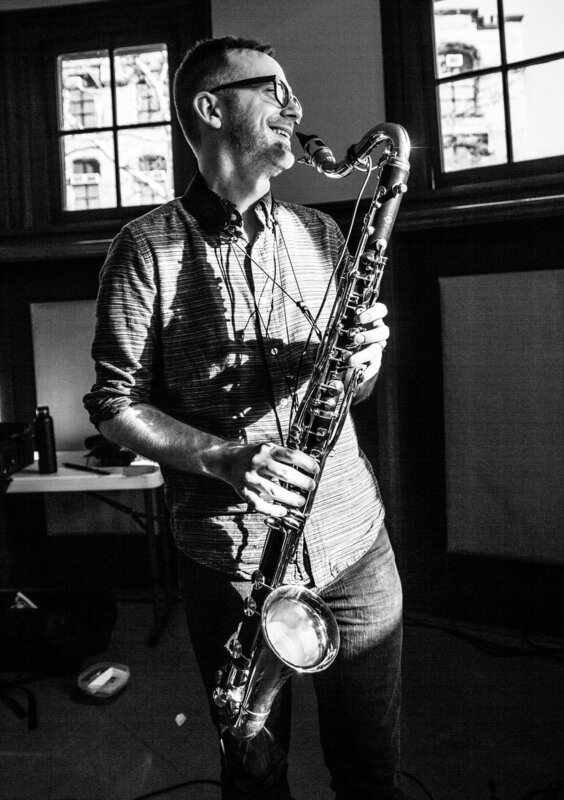 After an inspirational experience at the Banff International Jazz Workshop (2015, curated by Vijay Iyer), Clowes decided to research Emulsionâs potential as an immersive performance space and is currently a PhD candidate at the Royal Birmingham Conservatoire with a STEAM Scholarship. Her supervisory team includes Dr Nicholas Gebhardt, Dr Joe Cutler, Dr Tony Whyton, Dr Vijay Iyer and Fiona Talkington. The work of a musician goes beyond the stage and Clowes is passionate about her roles as professor at the Guildhall School of Music and Drama and ambassador for the charity Donate4Refugees. Matthew Golombisky is a USA-born, Buenos Aires-living acoustic & electric bassist, composer, improviser, conductor, and educator who also wears many hats like the director/founder of independent record label ears&eyes Records, (past) conductor & artistic director of youth orchestra, Orquesta Creer Es Crear, in Avellaneda, Argentina, curriculum developer, teaching artist and board member of 501(C)3 non-profit Institute for Creative Music and in the past has taught in schools such as SPACE, Mynah Music, Hilldale, Asheville Music schools, stage managed for Pitchfork Music Festival, Hideout Block Party, The Swell Season, Peter, Bjørn & John, DJ-ed/produced radio for WNUR 89.3FM, curated an annual ears&eyes Festivals, ideated for Clorox, and wrote, composed and directed musical theatre for Bizzo!. Matthew has lived and been active in music, festival, and film scenes in the San Francisco Bay Area, Chicago, New Orleans, Buenos Aires Argentina, upstate New York, and Asheville NC, as well as toured the USA and Europe with bands such as IfCM, NOMO, Zing!, Jhelisa, Golombisky-Kirchner duo, WATIV, QMRplus, & more. AllAboutJazz and writer Jakob Baekgaard recently called Matthew a modern “renaissance man” (the article has more than 26,000 views/reads). He is a forward moving, fast acting, and busy artist. Between his acoustic/electric bass performing, commissioned compositions (including his work on Australian singer/songwriter Via Tania’s latest album, featuring his Tomorrow Music Orchestra, his film scoring contributions to Argentine director Alejo Domínguez’s feature film, La Soñada, or creating improvisation teaching supplements for the Institute for Creative Music), directing, filming and editing music videos and/or release trailers (ie. Cuentos, Chad Taylor, Nate Lepine, TMO, Quintopus, Matija Dedic, blink. ), creating layout design work and/or photography for websites and albums (e&e.com, Matija Dedic, Hood Smoke, Pedway, Quintopus), conducting, directing and composing for at-risk youth orchestra, Orquesta Creer Es Crear in Argentina where they performed in the tango-famed Teatro Roma, founding/directing Chicago-based indie label, ears&eyes Records (2018 marks eleven years), and now releasing his newest double EP cassette, Cuentos Vol. 1 & 2, just maybe he can back AllAboutJazz’s forceful claim. Matthew's undergraduate studies at the University of North Carolina at Asheville led to a B.A. in Jazz Studies/Bass Performance with an emphasis on 20th Century Classical music & theory, while earning the Distinction in Music Award, and masters studies to a M.M. in (classical) Composition from the University of New Orleans after a brief stint at Northwestern University after Hurricane Katrina swept through New Orleans in August 2005. Matthew’s discography includes over 50 recordings featuring his performance, compositions, conducting, film scoring, artwork/design, photography, recording/mixing, and/or production. He has taught performance, improvisation, composition, theory, recording techniques, and music marketing to children and adults for 20 years in schools and colleges across the nation. He joined the IfCM Collective to travel the USA, teaching clinics to high school and college students his methods of composing, improvising and conducting. In 2013, he teamed up with like-minded musicians/educators John Nash, Patrick Liddell and Elisabeth Johnson and founded a not-your-typical music-school school in Oakland CA to promote experiencing/learning music as a whole art form, as something relevant and exciting, called Mynah Music. Most recently, he became the Music Director and conductor of a youth orchestra in Buenos Aires, Argentina in a government funded program inspired by Venezuela's El Sistema. His composition style is wide ranging, steeped in modern classical, experimental, experiential, thoughtful, jazz, rock and pop genres, but never limits himself to anything and absorbs all music listened to. He creates moods and aural images that captivate, intrigue, invigorate, confuse and/or excite his audience. 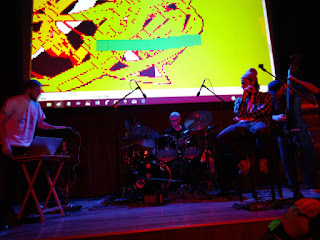 Bright Dog Red (BDR), an improvising collective from Albany, New York, fuses free improvisation, electronica, jazz, hip hop, psychedelia, and noise music. BDR debuted in September 2015. In short time, the band’s regular performances have generated comparisons to “Mahavishnu Orchestra meets Digable Planets” (Paul Schulman), “electronic Ahmad Jamal,” (Don Lucoff), and to other psychedelic, jazz fusion, and hip hop luminaries. In October 2018, BDR released “Means to the Ends,” the group’s debut album on the influential Ropeadope Records label. In addition to leader Joe Pignato, drums and concepts, BDR features MC Cully, Electronic musician Cody Davies, Trumpeter Jarritt Sheel, Saxophonist Mike LaBombard, and Bassist Anthony Berman. 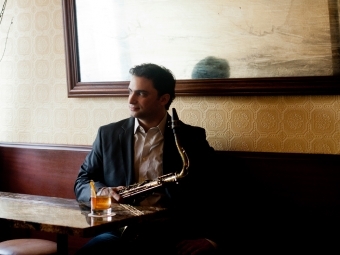 Baltimore bass clarinetist, composer, and arranger Todd Marcus is one of the few jazz artists worldwide to focus exclusively on use of the bass clarinet as a solo instrument. While most uses of bass clarinet in jazz typically lean towards avant-garde and free-music styles, Marcus’ playing presents the instrument with a modern straight-ahead jazz approach. His music swings hard with both fiery and introspective intensity but also maintains a strong lyrical sensibility. Marcus has presented music for 15 years and along the way received accolades including a Jazz Hero Award from the Jazz Journalists Association in 2017, Maryland’s $25,000 Baker prize in 2014, selections as a rising star by national jazz magazine Downbeat annually in its annual critics poll since 2013, and an NPR pick for one of the top 10 jazz albums of 2012, and a JazzTimes pick for one of the top 40 albums of 2015. Born and raised in the northern New Jersey suburbs of New York City, the half-Egyptian Marcus began music at age six with early piano lessons. He picked up clarinet at age 10 first playing band then classical music repertoire. While in high school, an English teacher who also played New Orleans style jazz piano would introduce Marcus to jazz. But upon trying to join the school’s jazz band, Marcus was told saxophones, not clarinets, were the reed instruments allowed in the band and he was turned away. While at Loyola, Marcus also began volunteering at a local chapter of Habitat for Humanity in west Baltimore’s Sandtown-Winchester community. He soon began to build relationships with community members including a life-long resident and pastor, Rev. C.W. Harris, who mentored him about the African-American community’s rich legacy of the arts and jazz, segregation challenges, and battles to overcome decades of poverty resulting from destruction by 1960’s riots, flight by black professionals, and an influx of drugs. Harris’ mentoring nurtured Marcus’ interest in Civil Rights era history, its deep connection with the jazz music of that time, and Marcus’ feelings of the need for greater racial reconciliation in America. With a resulting belief in a need to be engaged in community based revitalization, Marcus left college and in 1997 moved into the neighborhood doing community work by day and pursuing his ongoing study of jazz at night. In late 1998 Marcus returned to New Jersey to complete his college degree in urban studies with two semesters at Rutgers University. While there however, he spent a majority of his time at the school’s jazz department. Though not a music major, he was accepted by audition into the department’s jazz combos getting his first experience of performing in quartets, trios, and composing. By mid 1999 Marcus was back in Baltimore working again with Rev. Harris where together they have worked since to run Intersection of Change (intersectionofchange.org), a nonprofit addressing poverty related issues in the community. These efforts have resulted in the establishment in 2000 of Martha’s Place, the organization’s recovery program for women overcoming substance abuse and homelessness, Jubilee Arts, a program established in 2008 to offer arts classes, entrepreneurship, and community beautification for children and adults, and Strength to Love II in 2016 which operates an urban to address the community’s food desert crisis and need for employment opportunities. Work to date has resulted in significant neighborhood community revitalization through the full renovation of six previously vacant and dilapidated buildings, transformation of 18 vacant lots into community green spaces and meditative gardens, creation of a dozen neighborhood murals, and conversion of 96,000 sq./ft. of vacant lots into an urban farm. 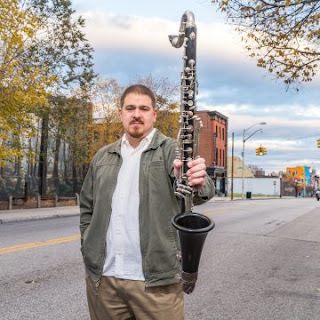 Marcus’ music career has also grown during these years as he has charted new ground on the bass clarinet and developed as a composer and arranger with his Todd Marcus Quintet, Quartet, Trio, and Duo as well as his nonet, The Todd Marcus Jazz Orchestra. In 2006 he released his debut album In Pursuit of the 9th Man with his Todd Marcus Jazz Orchestra as well as his Todd Marcus Quartet’s 2012 release Inheritance. He again featured his jazz orchestra with 2015’s Blues for Tahrir and a 2018 quintet album On These Streets. Though self taught in jazz theory and composition, Marcus’ compositions draw largely on intricate but lyrical straight-ahead jazz, classical influences, and over recent years have also increasingly explored the Middle-Eastern sounds from his Egyptian-American heritage. His work includes international performances, clinics, and radio play and he has worked with other jazz artists such as Gary Bartz, Bennie Maupin, Don Byron, Larry Willis, Odean Pope, Gary Thomas, Joel Frahm, Tim Warfield, Ralph Peterson, Warren Wolf, Sean Jones, Xavier Davis, George Colligan, and Orrin Evans. Marcus’s work includes regular performances in Baltimore, Washington DC, New York, and Philadelphia as well international performances, clinics, and radio play. He was a featured artist in 2017 Jazz Tales Festival in Egypt, 2015 Cairo Jazz Festival in Egypt, and in 2005 at the 1st World Bass Clarinet Convention in Rotterdam, Holland. 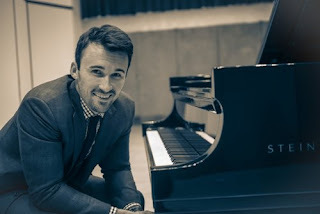 DIMITRIJE VASILJEVIC is a New Orleans based, award-winning jazz pianist and composer who has been hailed as “a strong jazz player with an impressive vocabulary and a powerful modern improviser who shows promise that he will be a new voice in modern jazz” (Tony Germain – Berklee College of Music). His music, “iridescent and captivating, a cascade of weaving twists and turns” (All About Jazz), represents an innovative combination of the gentle flavor of European jazz with intricate musical landscapes full of exotic rhythms and sophisticated harmony. Vasiljević got his Bachelor Degrees both from Berklee College of Music in Boston, MA and University of Arts in Belgrade, Serbia, his Master’s degree from NYU Steinhardt in New York City and his doctorate (DMA) from University of Illinois at Urbana-Champaign. Before he accepted the position of a tenure-track Assistant Professor of Jazz Studies at Xavier University of Louisiana in New Orleans in 2017, he taught jazz piano at both NYU Steinhardt in NYC and UIUC in Urbana, IL. Vasiljević has performed concerts at such renowned venues as Carnegie Hall (NYC), United Nations Headquarters (NYC), Kennedy Center (Washington, DC), Krannert Center (Urbana, IL). He performs extensively throughout the United States and Europe, both as a solo pianist and with his own jazz trio/quartet/quintet. In 2008 he won third jury prize and the audience prize at the world renowned Montreux Solo Jazz Piano Competition in Switzerland, and in 2014, Tesla Science Foundation in New York City, awarded him with a Recognition of Achievement for his contribution in promoting the life and legacy of Nikola Tesla through Music. In 2015, Vasiljević was a finalist of both Luminarts Jazz Competition in Chicago and the Kate Neal Kinley Memorial Fellowship competition. During his time at Berklee, he received the Jazz Performance Award and the Piano Department Achievement Award, and while working on his doctorate at UIUC, he received Creative and Performing Arts Fellowship. He has performed with renowned jazz artists such as Joe Lovano, Chris Potter, Charles “Chip” McNeill, Tito Carrillo, Victor Garcia, Marko Djordjevic, Klemens Marktl and Brad Shepik, among others. In addition to his composing/performing and teaching careers, Vasiljević also scores music for films (There Has to Be More Than This; Tierra Utopia), and is one of the founding members of Music Defying Boundaries, American nonprofit organization dedicated to engaging individuals with experimental and improvised music through education, performance, and documentation. For 5 years, he was also on the faculty of Blue Mountain Chamber Music Festival summer camps in New Jersey and Pennsylvania. Vasiljević is a Ropeadope Records artist and a member of Jazz Education Network (JEN).